Burgundy’s landscape is as memorable as its food and wine. There is glorious architecture dating back to the Renaissance, and in some cases the Middle Ages, and with rural views shaped by viticulture which is just as old. You'll find many of the best places to stay in Burgindy both in this rural landscape, and housed in ancient historic buildings. In Burgundy - or Bourgogne as the French call it, there are thousands of excellent small scale producers of both red and white wine. By far the most commonly grown grapes in Burgundy are Pinot Noir (red) and Chardonnay (white). Although Burgundy might sound red to English-speakers, more white wine is produced here than red. Domaines are the norm in Burgundy. The Côte d'Or is probably Burgundy’s most famous wine growing region, a picturesque spot between Dijon and Beaune including Meursault and the long, scenic corridor on the bank of the Saône river designated Beaujolais. Dijon, seat of the Dukes of Burgundy and once one of Europe’s greatest cities is still a beauty. The fine, medieval architecture in pale stone, incredible local produce markets - in a wonderful market hall designed by Gustave Eiffel and collection of museums and churches make it a great place to base yourself if you prefer a cityscape to rolling countryside. Perfect if you like mustard the one made with white wine rather than vinegar. Dijon is of course well located for Burgundy’s vineyards. Set in an elevated position over looking the Cousin Valley, Avallon is a charming historic town between Auxerre and Dijon. 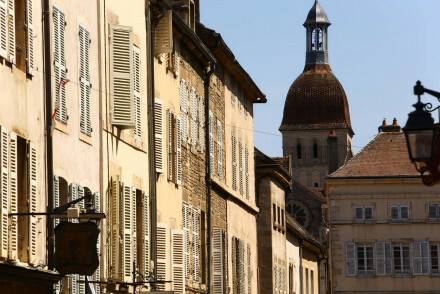 Its cobbled, pedestrianised centre is full of unspoilt ancient buildings, and plenty of cafes for a spot of people watching and it's guaranteed to be far less busy than either Dijon or Beaune! Wine lovers should head to Beaune, which many consider to be the heart of the wine producing region, but you’ll also find the villages of Meursault, Chambolle Musigny, Chablis, Satenay, Pommard, Volnay and Puligny-Montrachet and Nuits-St-Georges, and many more! For exploring the Southern part of the region, Macon makes a good base. You've got access to plenty of vineyards, plus it has a gorgeous medieval Old Town and picturesque location on the River Saone. For some people there’s more to Burgundy than wine. The beauty of the Morvan National Park, in the centre of the region, may even convince some serious wine-buffs of this. The park encompasses a thousand square miles of wild and protected landscape - of verdant forests, clear blue lakes and villages with tree-shaded squares and the kind of family run brasseries that can really make a holiday in France. If you plan to explore this area, then Autun is a good place to base yourself. The wine and the vineyards. Dijon’s Palace des Etats, or Duke’s Palace, is an impressive sight, as is the cathedral - which has a fascinating 6th century crypt. The 17th Century Maison des Cariatides has a wonderfully complicated stone facade. 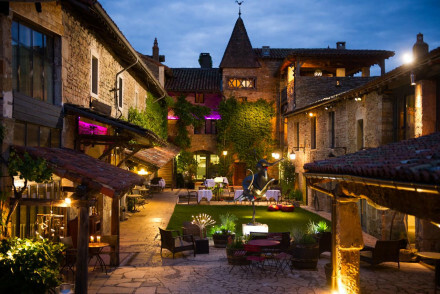 The 13th Century Hotel Aubriot is also worth admiring. Dijon also has a number of interesting museums, including an archaeology museum and a museum of sacred art. Visit the remains of pre-Roman Gaul’s largest city, Bibracte. For some people Burgundy’s châteaux hold appeal beyond their vineyards. There are hundreds improving the landscape and between them offer thousands of remarkable rooms. The Italian Renaissance-style Château d'Ancy le Franc, built in the 16th Century for the Dukes of Burgundy, deserves special mention for an incredible collection of Renaissance murals. The once abandoned 17th Century Château de Cormatin has one of the finest pleasure gardens in France, complete with a maze, fountains and a theatre garden. 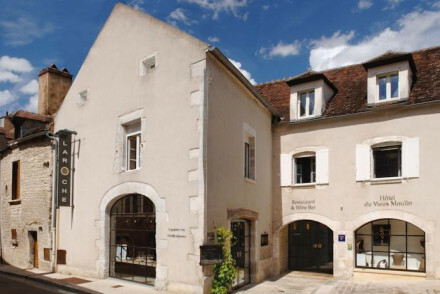 Beaune's wine museum, housed in a building which was once the meeting place for the Dukes of Burgundy. 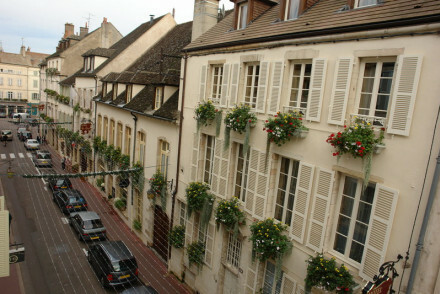 Aside from wine, Beaune is most famous for the Hotel-Dieu. Built in the 15th Century, this was one of Europe's earliest hospitals. But the Hotel-Dieu isn't just renowned for its original purpose, it has a glorious roof - tiled in a wonderful mosaic pattern. And there’s hilltop charmer Vézelay to see too. Such diversity in the region and so much to see and do means that many of the best places to stay in Burgundy are quickly snapped up. To be sure of your booking do plan and book well ahead. 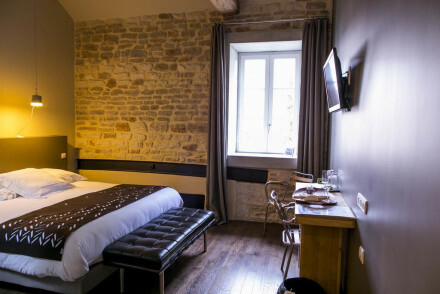 Le Pre aux Clercs is a charming, reasonably priced hotel in Dijon’s historic centre right opposite the Palace of the Dukes of Burgundy. Five spacious and comfortable rooms are decorated with a nice combination of antique and contemporary designs. La Cour Berbisey is a smart townhouse B&B with an excellent spa. The decor is contemporary and sophisticated with a few well chosen antiques in the five enormous suites. Hostellerie de la Tour d’Auxois is in Saulieu, within the boundaries of the Morvan National Park. There are 29 rooms and an elegant restaurant serving regional cuisine. 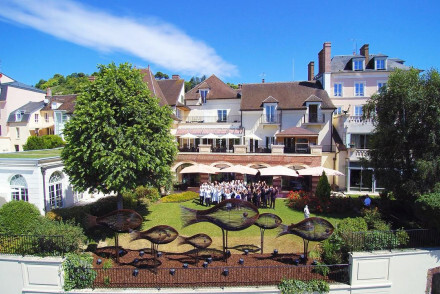 Much loved by the stars of yesteryear, the Bernard Loiseau - La Côte d'Or is an award-winning restaurant with rooms in an idyllic setting within the park. The gardens are beautiful and there’s a lovley pool, spa and fitness centre. 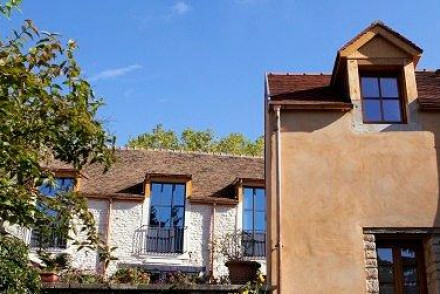 The 15 room Le Moulin des Templiers is a haven of peace on the riverbank. 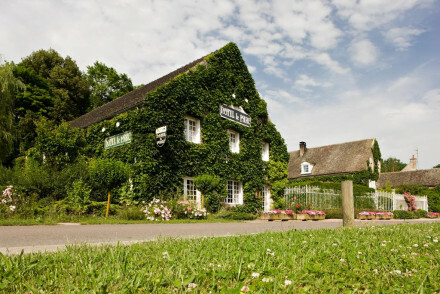 The decor is quaint, the cuisine fantastic and the atmosphere romantic - helped along by the fact that the building is a lovingly restored 12th century mill. The Château de Vault de Lugny is an impressive, moated 13th century château on 100 acres of picturesque grounds. There are 16 lofty bedrooms decorated with antiques and mouthwatering suppers served house-party style. The Château d'Igé boasts stone-flagged floors, winding staircases, fairytale turrets, huge hearths and a beamed dining room. This is an atmospheric spot in a well-established, impeccably maintained garden. Food is delicious and distinctly Burgundian in flavour. The Hotel la Cueillette, in Meursault, is a wonderful 12th century château surrounded by vine rows. There are 19 luxurious rooms, a lovely grape-themed spa, a fine dining restaurant and one of the region’s best wine cellars. The Château de Courban et Spa in the north of the Côte d'Or is a statuesque property with an excellent spa and a gourmet restaurant. There are 25 richly decorated rooms and suites - some with private terrace overlooking luscious gardens. Great for a relaxing escape. The Château de Chailly is an authentic 16th century château turned 45 room country house hotel. The decor is traditional and there are two restaurants, plus a pool, spa and golf course. 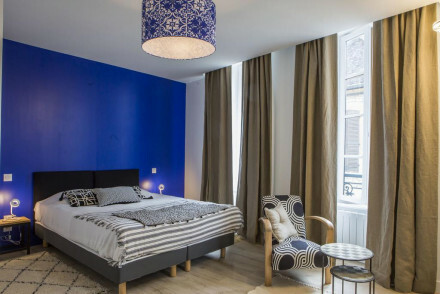 Chez les Fatien in Beaune is an intimate four room boutique hotel decorated with minimalist luxury. There’s a charming breakfast courtyard, a fantastically stocked wine cellar and an air of sophistication. 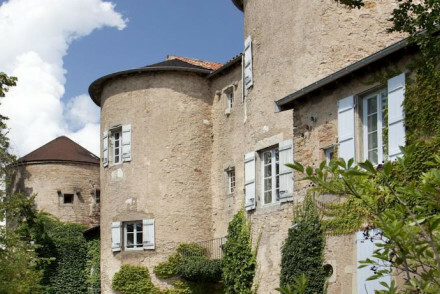 The Château de Bagnols is a charming old château beautifully converted into a luxurious and elegant 16 room hotel. As well as being in amongst the vines and the hundred year old lime trees, you’re also afforded spectacular views in every direction. 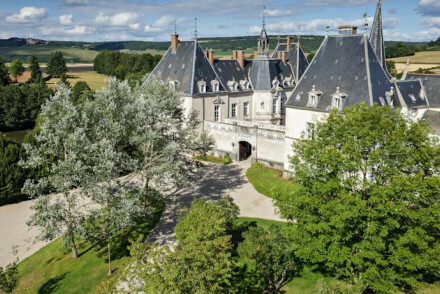 The Château de Pizay is a larger affair, still surrounded by vineyards, but this time with 62 rooms, a spa, gourmet restaurant and a pool. 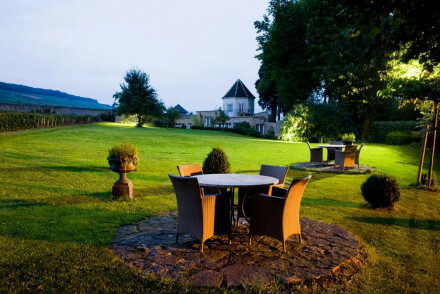 Hotel du Vieux Moulin is a chic hotel in the wine region of Chablis. Rooms blend the modern with the traditional - exposed beams, contemporary furniture and large bathrooms. A lovely terrace on which to enjoy a drink and excellent regional dishes in the restaurant. 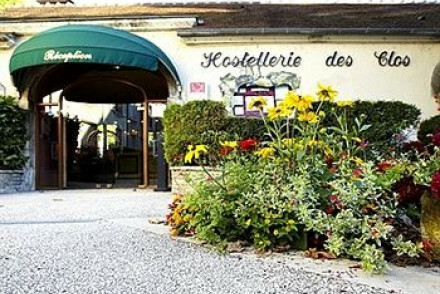 Hostellerie de Levernois is a charming country house hotel. Rooms are either modern with wooden floors, or traditional with exposed beams and brick. Michelin-starred restaurant, splendid gardens and tennis court. 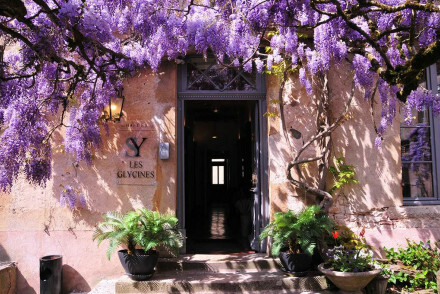 A quaint 17th Century townhouse hotel, La Maison d'Olivier Leflaive, located in the heart of Burgundy's best vineyards. 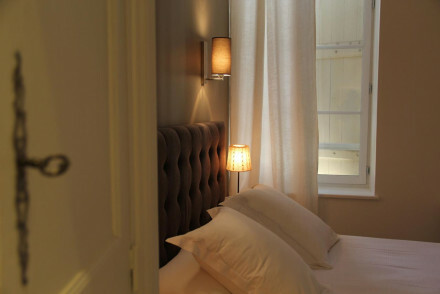 Spacious bedrooms are a charming blend of traditional and contemporary and the two suites have a private terrace. Burgundian cuisine is paired with the best wines of the region and from the family winery. 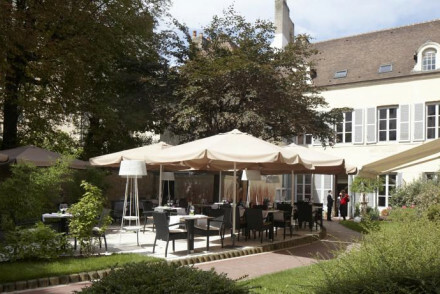 The Hostellerie le Cedre is a smart, 40 room hotel in the centre of Beaune with airy rooms and suites and a charming garden terrace. Of course there’s a good cellar too and a Michelin-starred restaurant. If you're a fan of white over red you may also want to consider Les Charmes in Meursault as your Burgundy base. This beautiful 18th Century mansion has charming grounds - more like a small park than a garden - and 13 simple yet elegant rooms. Calm, with an old fashioned atmosphere. 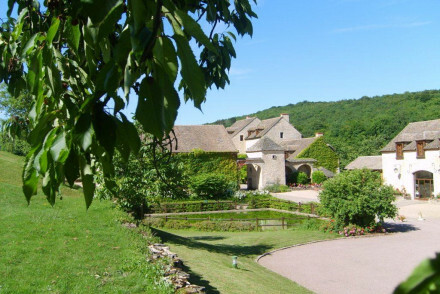 If you're looking for spectacular views, Le Terre d'Or in the hills above Beaune is the property to book. This charming, nine room B&B has views over the vineyards and the town's ramparts. The rooms are split between a large house and a smaller cottage and all are decorated in pale woods and creams making them feel bright and airy. 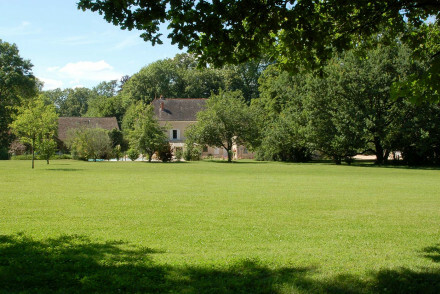 Le Hameau de Barboron is a cosy farmhouse conversion just outside Beaune, surrounded by beautiful green countryside. There are 14 rustic-chic rooms with exposed beams and nice antiques with views of the valley. There is an expansive garden with a pond. Rooms start from around £80 per night. 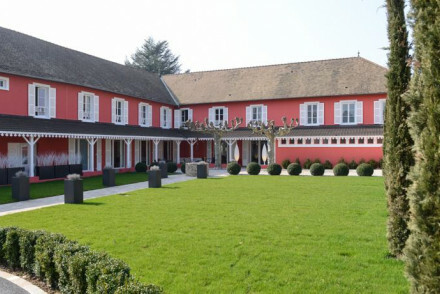 Close to Beaune, Le Clos du Colombier is a simple yet elegant 12 room hotel surrounded by vineyards. There’s a great restaurant specialising in regional food and wine - and a great kid’s menu. There are babysitting services and family suites. 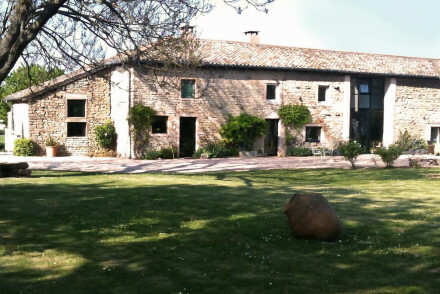 The Castel de tres Girard is a luxurious rural country house surrounded by vineyards. There are just eight elegant, traditional rooms, decorated with florals and antiques, a lovely outdoor pool and a great restaurant with excellent regional wines. Charm’Attitude, in Meursanges, outside Beaune, is a wonderfully modern five bedroom property converted from an 19th century building. Two hectares of garden surround the property and there’s a beautiful outdoor pool. La Beursaudiere is a charming family run auberge close to Nitry. Its rustic chic rooms offer excelptional value for money with double rooms startfing from as little as €85 per night. The Hotel Villa Louise in Aloxe-Corton is an attractive 12 room country house with a cottage feel. The rooms and suites are rather charming with plenty of original features. There’s a small spa and an extensive wine cellar. Rooms start from around £75 per night. 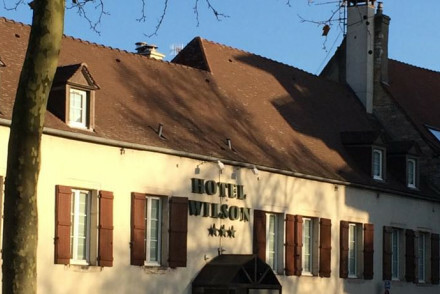 For a reasonably priced hotel in Dijon you can’t go past the Hotel Wilson, a 17th century coach house with typically Burgundian architecture and beautiful courtyards and gardens. There are 27 rooms priced from around £80 per night. A great option for families. In the heart of Dijon, the Maison Philippe Le Bon is a 41 room hotel with rooms spread between three mansions around a Gothic courtyard. There’s period furniture and cool art on the walls, some of the rooms have beautiful city views. There’s a gourmet restaurant with an excellent wine collection. Rooms start from less than £100 per night. Charles de Gaulle and Paris Orly Airport are the closest international airports to the Burgundy region. It is quite useful to have a car in Burgundy, so we recommend you either hire a car - we recommend you visit our online partner Rentalcars - or travel by Eurotunnel and bring your own. 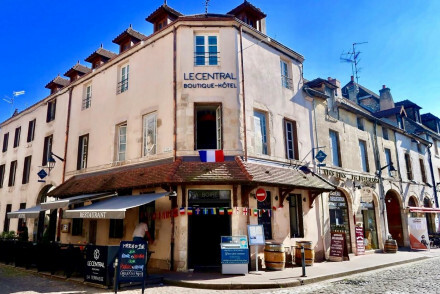 There’s the option to travel by train too, Burgundy’s main stations are well connected to Paris via the high speed TGV network - Dijon is only an hour and a half away. Most visitors arrive in the summer months when Burgundy is hot and dry. Autumn, for the harvest is a great time as well, though it’s probably best to avoid the winter if you can. 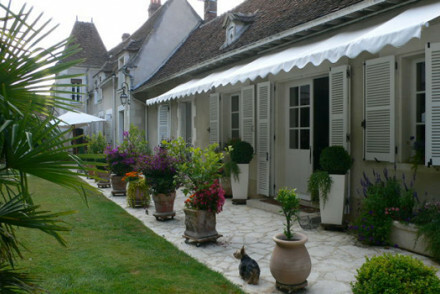 Or the best places to stay in Beaune? Delightful family-run hotel in several old buildings. Rustic rooms themed on local crafts - wooden beamed ceilings and traditional decor. Indulgent open planned bathrooms. The atmospheric all-day restaurant is a popular hot spot. A great choice for foodies and local explorers. Romantic Break - A romantic restored rural building boasting terracotta and flagstone floors, a cheerful restaurant and charming sun terrace. 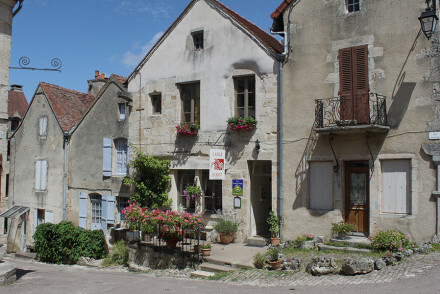 Sights nearby - Explore Noyers-sur-Serein, a magnificent medieval village, voted in the top 100 most beautiful french villages. Authentic 16th century chateau turned country hotel with easy access to all of Burgundy's highlights. 45 traditionally styled rooms and suites, plus two restaurants, pool, spa and golf course. It's a charming spot for active types or is equally a great base for exploring the region. 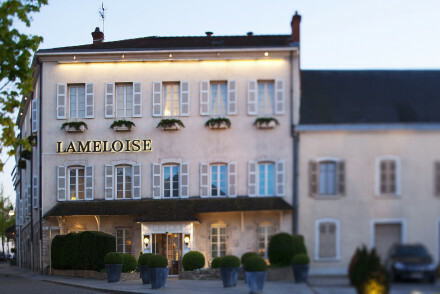 A lovely hotel in the heart of the Chablis wine region. Contemporary rooms have wooden floors and large bathrooms. Gym, gardens and a terrace. Excellent Burgundian cuisine and wine in the restaurant. Great for a romantic weekend fuelled with excellent food and wine. 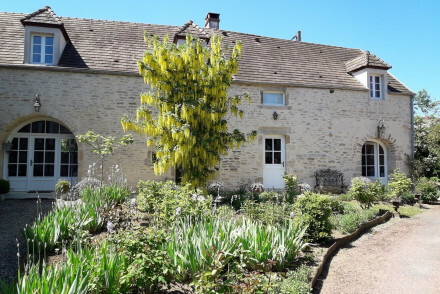 A charming 18th century Burgundian mansion come guesthouse close to Auxerre. Beautiful rooms and suites have white washed walls, wooden floors and boutique furnishings. A pretty flower garden, terrace and great regional dishes. Great for a quiet and authentic country weekend in Burgundy. 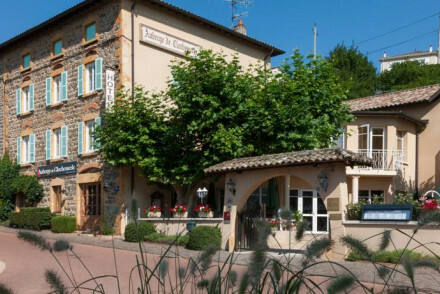 A quaint B&B in on of France's most beautiful and historic villages. Charming hosts and family style meals make this an extra special experience. The comfortable bedrooms and family suites boast personal touches and character. A great choice for exploring this wonderful part of France. Great walks - The hotel can recommend some great routes around this town and through the surrounding countryside. A charming hotel in the centre of Beaune with rooms furnished with traditional wooden fittings and fireplaces. The hotel restaurant Le Tast'Vin is a local favourite serving regional specialities. The terrace is perfect for a relaxing drink or meal, particularly in the summer. A picture perfect wisteria clad townhouse boasting an ideal location next to the historic Romanesque basilica. Charmingly decorated throughout with warm hues, a choice selection of antiques and classic patterned wallpaper. A quintessentially French stay. Local exploring - A charming and historic property to explore the region from. Sights nearby - Visit the majestic Sainte Marie Madeleine Basilica a 9th century Romanesque abbey. Great walks - Take long walks through the picturesque countryside surrounding the town. A characterful village inn with an excellent gourmet restaurant. Understated charm and great value for money. A more affordable spot to explore the Beaujolais region from. A quaint country house set in lovely mature gardens. A handful of individually styled and traditionally dressed rooms feature classically French wallpaper, beamed ceilings and antiques. Indulgent breakfasts are served and the dinners are well worth ordering. A delightful rural escape. Short fly break - Located near the motorway (not that you'd know it) which makes this an ideal stop for those travelling further south. Country Escape - A charming country house with exceptionally genial hosts and surrounding by picturesque countryside. 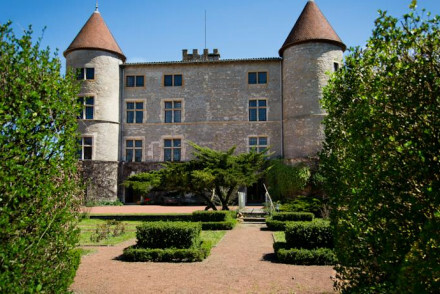 Sights nearby - Discover the many chateaux in the region on a day out. 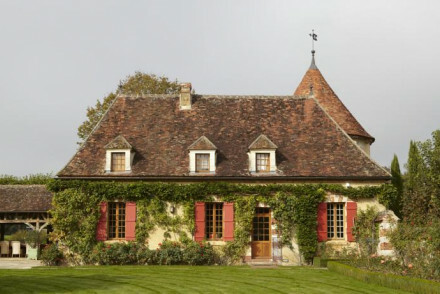 An ivy-clad property, dating back to the 18th-century, set in the heart of Burgundy's wine region. Cosy rooms are simply dressed with a choice selection of antiques. The nearby restaurant serves regional classics alongside an excellent wine list. A charming stay with a reasonable price tag too. 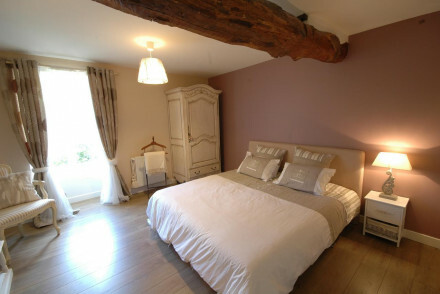 A gorgeous renovated 16th-century property in the centre of Beaune with spacious rooms and contemporary decor. The hotel restaurant 'Dame Tartine by Edgar' is located 50m away and serves the finest regional cuisine. Guests can dine in the dining room or the beautiful French Quarter courtyard. A beautiful sandstone farmhouse B&B set in vineyards. Lovely rooms are rustic chic with brick walls, antique furniture, and floral fabrics. Stunning gardens and a courtyard to enjoy in the sunshine. Plenty to do in the region. A charming spot with plenty of rural charm. A cosy farmhouse just outside Beaune in the countryside. Rustic-chic rooms feature exposed beams, antiques and valley views. Expansive gardens and a pond. Superb traditional cuisine, a shop with regional treats, and massages available. A country escape for wine lovers. 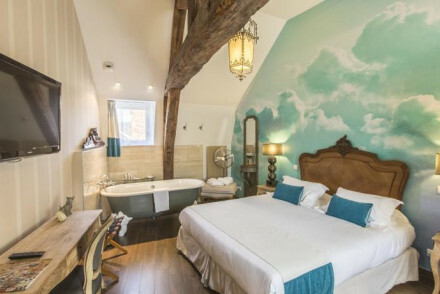 This charming 17th-century property in the heart of historic Beaune offers self-catering apartments decorated in antique style but with all the modern amenities you require including a Nespresso Machine and washing machine. A great option for large groups. 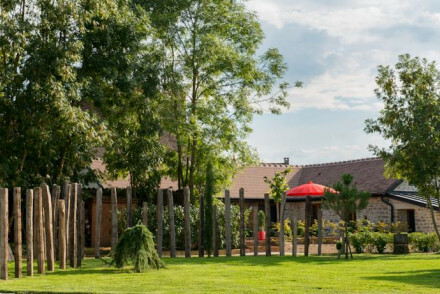 Great hospitality and a relaxing atmosphere combine to create this Burgundian gem. The charming rooms are simple and elegant and the restaurant serves delicious regional cuisine. 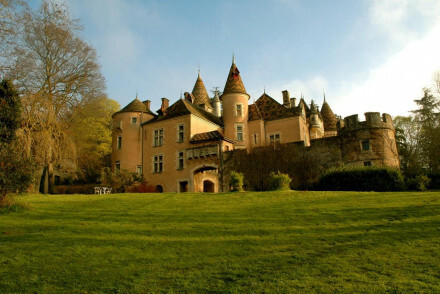 The perfect launchpad for exploring the rich culture of Saulieu. Romantic Break - The perfect romantic break in Burgundy, with plush rooms, lovely grounds, excellent wine and yummy regional cuisine. 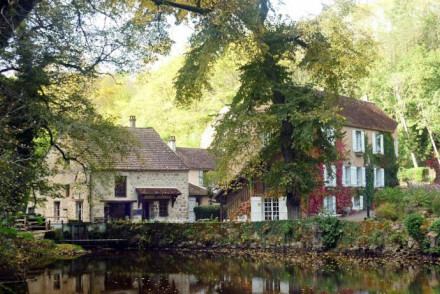 Local exploring - Explore the charming town of Saulieu and the surrounding beauty of the Morvan Regional Natural Park. Great walks - Make the most of the beautiful walking in the surrounding Morvan Regional Natural Park. Local markets - Wake up early and head down to browse the local markets of Saulieu. Set on the estate of an 11th century château, these beautifully converted stables now house five contemporary bedrooms with modern furnishings, king size beds and gorgeous oak beams. Cosy up with a book in the comfortable sitting room with large stone fireplace. A charming country hideaway. Country Escape - An ideal escape from city life, this magnificent château rests on acres of parklands with a pool and lovely manicured gardens. Birdwatching - For the twitchers amongst you, Le Parc des Oiseaux is a lovely outing and teaming with birds. Sights nearby - Visit the the Saint Curé d'Ars sur Formans with it's basilisk and wax museum. Great walks - Wander through the hectars of splendid parklands. An attractive country house with a cottage feel to it. Charming bedrooms and suites with wooden beamed ceilings and garden views, a small spa, and an extensive wine cellar. A perfect stop off for local exploring. 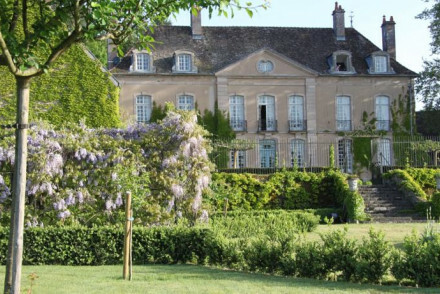 A large country house and vineyard set in a picturesque corner of Burgundy. 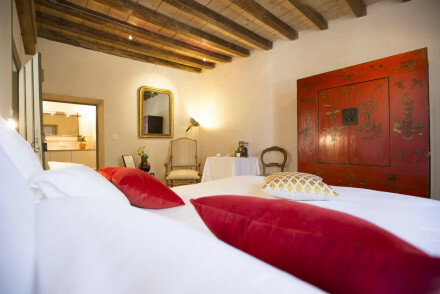 Rooms are spacious and simply dressed with polished wooden floors, exposed beams and crisp white linen. With ample space, the option to bring your own horse and beautiful walking country, this is a rural idyl. Country Escape - A charming country house surrounded by vineyards and picturesque countryside. Great walks - Find scenic walking trails starting straight from the property. A 17th century coach house with typical Burgandian architecture, in the centre of Dijon. Stone walls, wooden beams, courtyards and gardens, with beautifully renovated rooms offering rustic charm, with modern features. A warm and welcoming spot, with plenty of character. Families - Ideal for families, large triple rooms are provided and most important sights are within walking distance. Sights nearby - Dijon's gothic cathedral and the Notre Dame Church are a must for first time visitors. Great walks - Walks can be organised through vineyards and wine cellars for wine and cheese tasting. 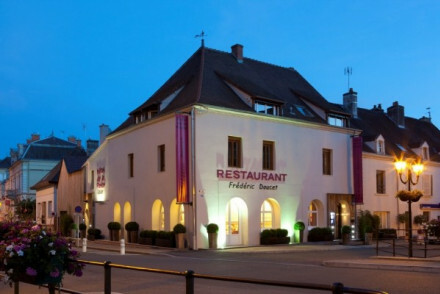 A small guesthouse and restaurant set in the pretty village of Solutré-Pouilly. Simply dressed rooms feature soft hues, crisp white linen and contemporary fixtures and fittings. The atmospheric restaurant serves regional classics alongside a choice selection of wines. Local exploring - A charming guesthouse and restaurant ideally located to explore the vineyards and sights of the region. Foodies - Sample local produce (including foie gras) and wines in the hotel's restaurant. Sights nearby - Located just a short distance from the geographically famed Rock of Solutré. Great walks - Enjoy long walks through the beautiful local countryside. 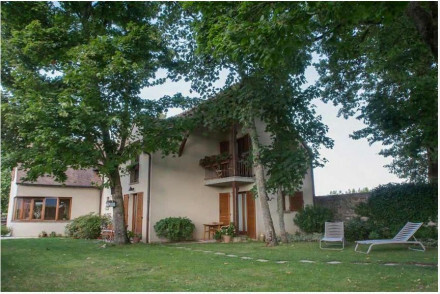 A charming B&B with far reaching views across the surrounding vineyards. Cosy rooms are simply dressed with soft hues, traditional carved beds and roll-top baths. Breakfasts are enjoyed on the sunny terrace jutting out into the neighbouring field. A delightful spot from which to explore the region. Hideaway - A tranquil property hidden amongst acres of vineyards. Great walks - Take long walks through the picturesque countryside. 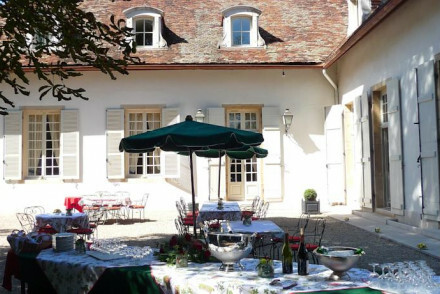 Wonderful location in the picturesque village of Charolles on the Burgundy wine trail. Bright contemporary hotel with a welcoming atmosphere which boasts an outdoor swimming pool and Michelin starred restaurant. Each room has its own character but all are spacious, comfortable and stylish. 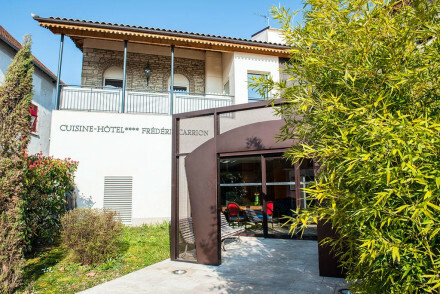 A chic hotel in the wine region of Chablis. Rooms blend the modern with the traditional; exposed beams, contemporary furniture and large bathrooms. A lovely terrace on which to enjoy a drink, and excellent regional dishes in the restaurant. The perfect bolt hole for a tasting trip. 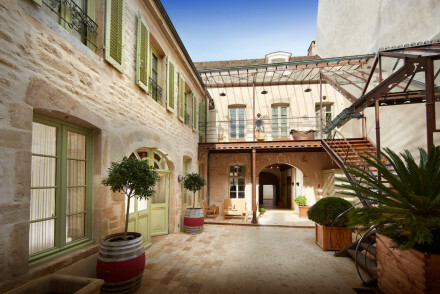 This former winery built in the 18th century is steeped in traditional French village charm. Rooms are spacious yet cosy maintaining an authentic 18th century feel with bare brick walls and regional fabrics. Nestled in the village of Meursault, there are restaurants a short walk away. An impressive chateau with elegantly decorated rooms and a magnificent restaurant adorned with chandeliers. 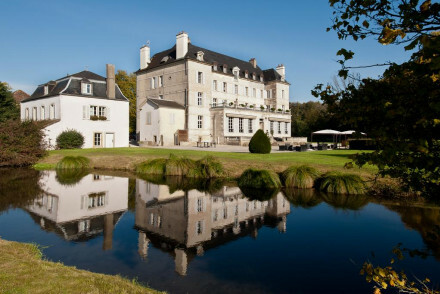 The hotel is set in 5ha of wooded land where Napoleon used to walk and now features a gorgeous outdoor seasonal pool. Guests can make use of a fully-equipped gym and spa facilities. 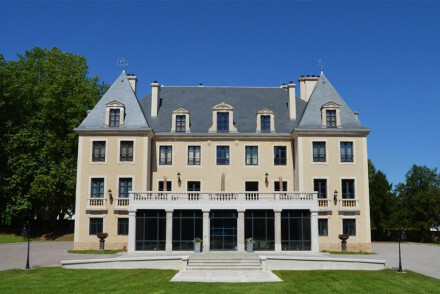 A statuesque chateau with an excellent spa and gourmet restaurant. Richly decorated bedrooms and suites with private terraces overlooking luscious gardens. Very relaxing, and not too overstated. 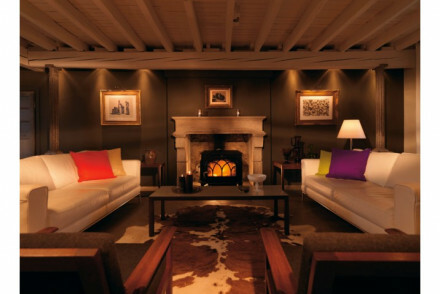 Surrounded by vineyards, this 16th century residence turned hotel offers chic rooms, apartments or suites with fireplaces. Rooms evoke classical style with elements of sleek modern design and furniture. Gourmet dining at an on site restaurant. A cool bar area and an outdoor heated pool as well. Families - Upto three bedroom apartments and suites are available for large families,with a garden and pool to keep the kids happy. Local exploring - Explore caves, castles and small towns close by, and visit the vineyards and parks around the property. Country Escape - Ideal for anybody looking to get out of the city to enjoy some countryside freshness. Cooking classes - Learn to whip up your favourite dishes from the menu with cooking lessons at the hotel. A quiet B&B in an 18th century building. Large charming rooms feature antique furniture, artwork and lots of individual character. A tranquil garden terrace where breakfast is served. Elegant public areas within hotel. Unique, intimate and great value. Local exploring - In the centre of the village, there is plenty to see within walking distance. A delightful hotel in a 19th century building. Modern rooms are welcoming, with large bathrooms and wooden floors. Two hectares of gardens and a beautiful outdoor pool. Plenty to explore in the Burgundy wine region and lots of options for a family holiday. A stately country guesthouse in Burgundy. Each room has a unique style that works with the building's architecture, from original fireplaces to paved floors. Sliding doors lead to smart ensuite bathrooms. Choose the guest cottage for a group stay and relax by the heated outdoor pool. A charming B&B. This charming former pottery factory offers a convivial atmosphere complete with a cosy dining room and warm garden terrace during the summer months. Rooms are querky and contemporary whilst the lounge occasionally hosts art exhibitions. The restaurant serves authentic regional cuisine. 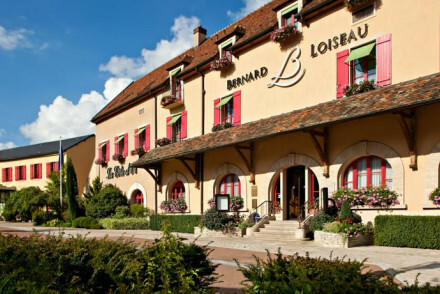 A vibrant hotel and restaurant in the heart of Burgundy. Bold colours and design sit comfortably against the building's original features and rooms are equipped with all mod-cons. Feast on beautifully crafted regional dishes in the fabulous restaurant and unwind in the indulgent spa. Local exploring - Ideally placed to explore everything South Burgundy has to offer. Boasts three historical mansions and a Gothic courtyard in the historical centre of Dijon. Cool art on the walls, period furniture combined with contemporary finishes, the rooms are chic and offer wonderful views of the city. La Closerie offers gourmet cuisine and an excellent wine collection. Value chic - This hotel is well priced for a historical monument and is in a great location close to all the important sites. Local exploring - Situated in the heart of the city, close by to museums, mansions and relegious buildings. Great walks - Walk through the Colobiere Park, more a leisurely stroll actually! Sights nearby - The Congress Palace is a must visit and hosts several events. Simple and cosy guesthouse in an idyllic spot on the banks of the river. Quaint bedrooms with white plastered walls, flowery wallpaper and old polished doors. Fantastic local cuisine using the freshest produce of the day in a cosy dining room with a fireplace. Great value for money. Back to Nature - A wonderfully restored 12th-century mill on the River Cousin, in the enchanting Morvan Natural Regional Park. Fishing - Fly fishing and no kill brown trout fishing is possible. The hotel has areas for drying equipment and can make a packed lunch. 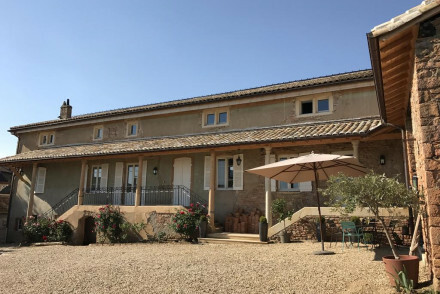 An old wine-maker's house which has been converted into stylish accommodation with five comfortable bedrooms and a private apartment for self catering. Rooms have original features complemented by contemporary furnishings. Table d'hote dinners are offered most nights. A wonderful country hideaway. This charming 19th-century B&B is made up of a house and former stables converted into a delightful conservatory. There is a beautiful garden with a heated pool. Rooms are cosy with antique and embroidered bed linen. The town of Beaune is close by with great restaurants. A charming country house hotel. Rooms are either modern with wooden floors, or traditional with exposed beams and bricks. Michelin-starred restaurant, splendid gardens and tennis court. Wine cellars and an elegant bar. Plenty of surrounding activities. An all round hotel. Local exploring - Definitley a spot for the adventurous; miles of safe cycle routes, fishing, riding and ballooning. Not to mention the vineyards! Traditional 18th century timber frame farmhouse with stunning garden and terrace. Beautiful interiors combine period features with contemporary furnishings. Classic local dishes, regional home cooking and large breakfasts. A cosy lounge and very welcoming - an ideal hideaway for exploring the area. 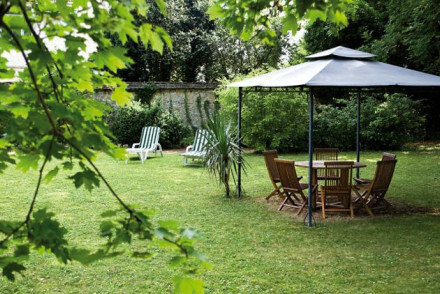 An 18th century maison bourgeoise, set on wonderful grounds boasting a shady walled garden, ancient trees and a great swimming pool. Simple and elegant rooms, with crisp linens and plenty of natural light. A place of calm and relaxation in an old-fashioned and genuine atmosphere. Country Escape - A peacuful haven, set on beautiful parklands, filled with ancient trees and surrounded by the rolling vineyards. Sights nearby - Historic sights of Beaune, La Rochepot and Puligny Montrachet are all in close proximity. Great walks - Wander through the expansive parklands and into the picturesque vineyards. 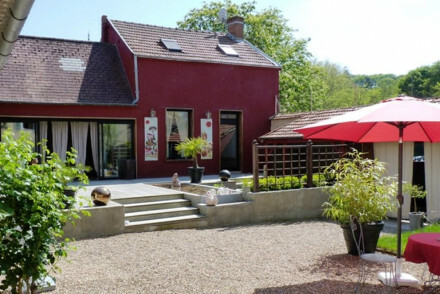 A delightful Bed and Breakfast in the quaint town of Chablis run by charming hosts. There is just one large room with a king-size bed, a private bathroom and guests can make use of a shared kitchen. The quiet garden and sun terrace are ideal for sipping on a glass of the local produce. 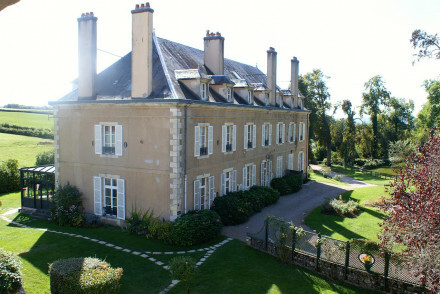 A picture perfect chateau set in beautiful mature gardens. The three suites are traditionally dressed with antiques, high ceilings, sash windows and softly patterned fabrics. Indulgent breakfasts are served, bicycles are available and there's plenty to explore locally. 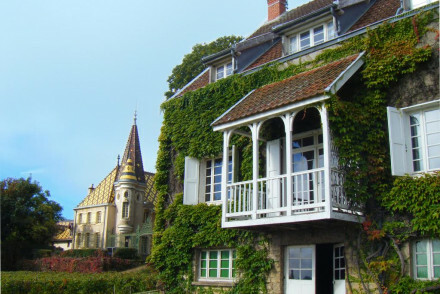 Country Escape - A quintessentially French rural stay in a picturesque part of Burgundy. 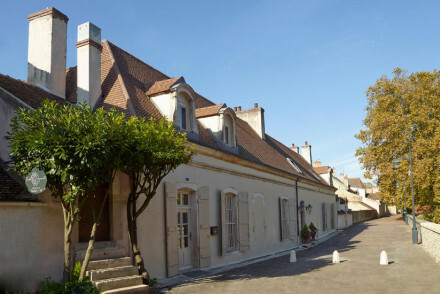 A classic country house in beautiful Chorey-les-Beaune. Traditionally designed rooms with chandeliers, parquet flooring and antique furniture. Regional cuisine served in the restaurant. Spend days lounging by the pool or cycling through the vineyards (and sampling some of the produce). Rural bliss. Country Escape - An idyllic rural retreat with rolling hills, leafy gardens, fantastic cuisine and regional wines. Sights nearby - Visit the Basilique Notre-Dame in nearby Beaune. 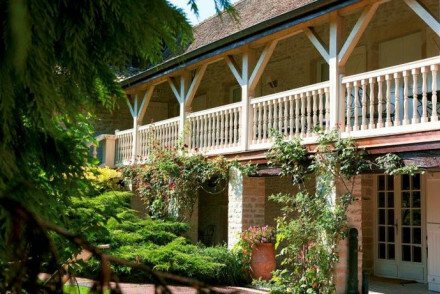 Quaint 17th Century townhouse hotel in the heart of Burgundy's best vineyards. Spacious bedrooms are a charming blend of traditional and contemporary and the two suites have a private terrace. Burgundian cuisine is paired with the best wines of the region and from the family winery. 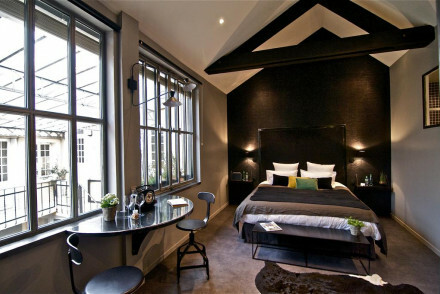 A listed building, the Vertigo Hotel was built in 1927 but has a chic modern interior. All 42 rooms are uniquely decorated with designer touches as well as garden and city views. The hotel bar serves food 24/7. The NUXE wellness centre has an indoor pool, Turkish bath, sauna and fully-equipped gym. A luxurious rural property in charming Burgundy, surrounded by vineyards. The elegant rooms are traditional in style; think floral motifs, antique furniture and beamed ceilings. Make the most of the gorgeous outdoor pool, excellent regional wines and yummy cuisine. Rural french perfection. Country Escape - A charming traditional country house with a lovely outdoor pool and regional wines to boot. Rural bliss. Great walks - Miles of hiking trails to be explored through the nature reserve of Combe Lavaux- Jean Roland. Sights nearby - Visit the stunning Abbey Citaux and discover the history of the Cistercians. A charming country house set in a picturesque part of rural Burgundy. Rooms mix contemporary and traditional styles with exposed beams, crisp white linen, simple modern furniture and soft hues. The best bathrooms have free standing tubs. There's a pretty garden and swimming pool too. 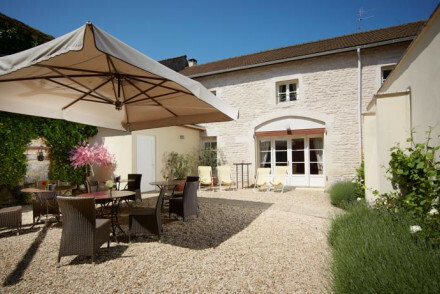 Local exploring - Set in the heart of Southern Burgundy with easy access to many of its main attractions. Sailing - Take a boat cruise on the Saone from Pont-de-Vaux. Sights nearby - Visit the majestic Cluny Abbey founded in 910. 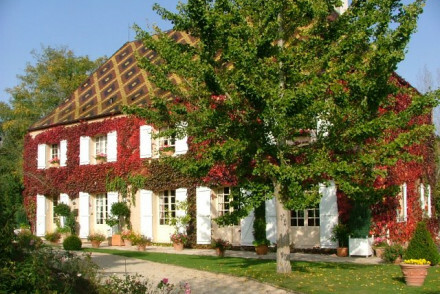 A lovely country house hotel surrounded by vineyards and flower fields. Contemporary chic interiors include creamy rooms and an innovative restaurant that uses lots of spice with traditional ingredients. Swimming pool, wine tasting, and lots of neighbouring towns to explore. Foodies - Vineyards to explore and an innovative restaurant that uses a lot of spices. Sights nearby - Not far from Tournus. 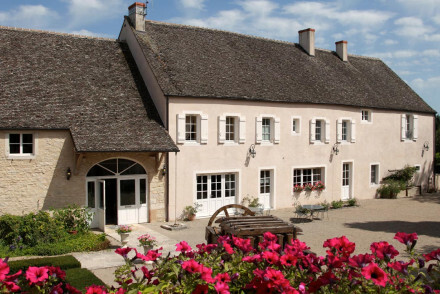 A charming hotel nestled in the village of Tournus, Burgundy. Rooms are comfortable and inviting with wooden floors and bare brick walls giving the place a traditional feel. The hotel restaurant holds a Michelin-star and serves the finest French cuisine, the perfect place for gastronomes. 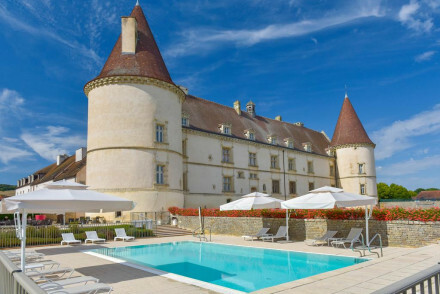 A striking chateau set in tranquil parkland between Dijon and Beaune. Rooms are individually styled with warm hues, a choice selection of antiques and luxurious contemporary bathrooms. A fine dining restaurant showcases exemplary regional cuisine and is worthy of a visit alone. 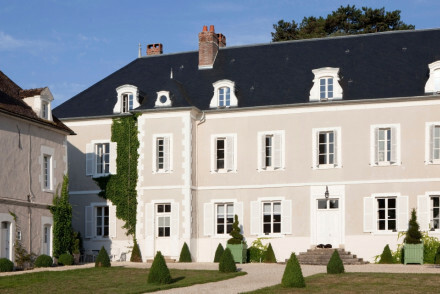 Country Escape - A stunning chateau set in beautiful gardens and surrounded by picturesque countryside. Fishing - Try your hand at fishing in the hotel's private pond. 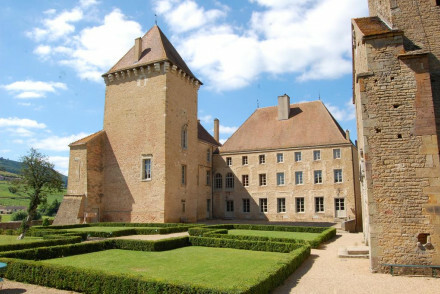 A picturesque castle, in a rural setting betweenDijon and Beaune, along the banks of the Burgundy Canal. Bright spacious rooms with a nice blend of classical and contemporary décor, and suites offering lovely views. A chic restaurant serving local cuisine. Helicopter landing and wifi available. Back to Nature - The Chateau is surrounded by an eight hectare park providing an animal reserve for deer, mallard, ducks and hares. Local exploring - Convenient location with several monuments, churches and museums to be explored, as well as local vineyards. Writing a novel - Take advantage of the serene setting and rooms with working desks overlooking the beautiful villages. Sailing - Sail on the Panthier Lake. A sailing school, training courses and hire of boats available. A charming six bedroom hotel in a village with world renowned vineyards. Contemporary chic rooms have all the mod cons. Panoramic views over the gardens and vines, walking distance to fantastic restaurants, and wine tasting abound. Ideal for foodies. Wine tasting - The village is situated around world-renowned vineyards. Views - Stunning views of the main town square. Traditional - A traditional building with contemporary chic rooms. The perfect launchpad for exploring the rich culture the Beaujolais and Mâconnais regions of Burgundy. The rooms are contemporary and spacious, focused on optimising guests comfort. Excellent family rooms makes this hotel perfect for families wishing to explore the region. Local exploring - A romantic spot from which to explore the villages, vineyards and countryside of the Beaujolais and Mâconnais regions. Great walks - Take walks through the lovely surrounding parkland. 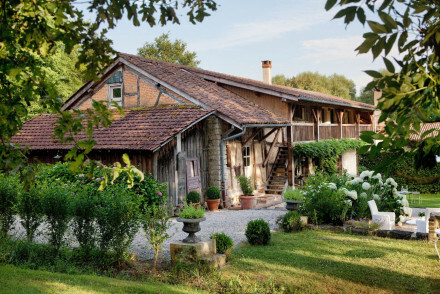 A charming 18th century farmhouse set in a pretty part of rural Burgundy. Rooms mix contemporary and traditional styles with soft hues, sink into beds, exposed stone walls and luxurious bathrooms. A heated outdoor pool and warm welcome make this a delightful stay. 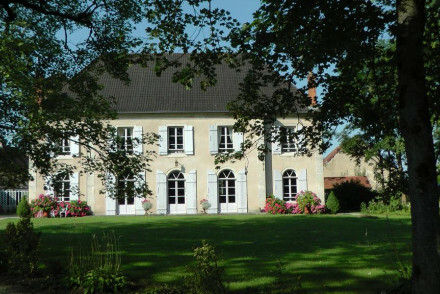 Country Escape - A picturesque and tranquil country house, ideal for rural French breaks. Great walks - Take long walks, starting from the property, through the pretty countryside. Sights nearby - Visit the rare geological phenomenon of the region, the Rock of Solutré. 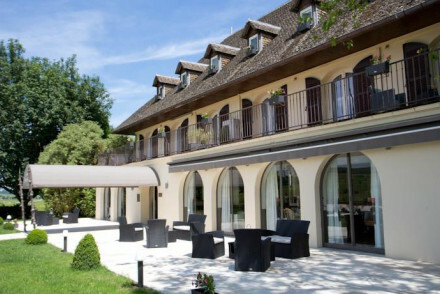 Le Clos du Colombier is a stellar hotel set amidst the rolling vineyards of Burgundy. The delightful rooms are designed with simple elegance and attention to detail. Enjoy delicious regional food and local wines on the terrace overlooking the vines. Perfect for a getaway in Burgundy. Families - Family suites as well as kids meals and babysitting services make it a great choice for family holidays. Local exploring - Right in the heart of Burgundy, it's the perfect launchpad for exploring the beautiful wine region. Sights nearby - Take a day trip to the delightful capital of Burgundy, Dijon. 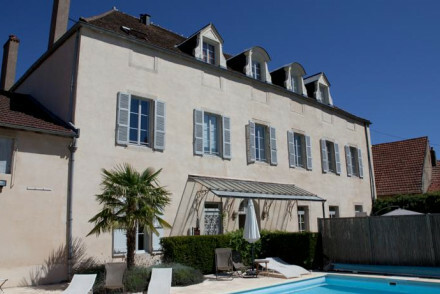 A beautiful country house with gorgeous rooms and an excellent table d'hote. Contemporary comforts and classic-chic design combine for sophisticated effect. Wooden beams, stand alone bath tubs, subtle lighting and huge comfy beds. 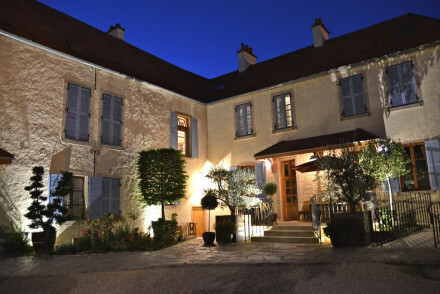 An elegant B&B in the renowned wine region of Douce Nuits. The chic suites offer bold fabrics, comfortable beds and well-equipped ensuites, there is also a two bedroom apartment available. Breakfast is served on the leafy patio each morning and the basement contains a shop and tasting room. 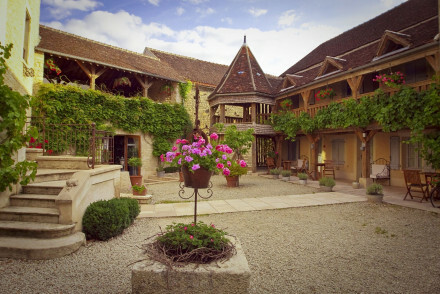 A beautiful 12th century farmhouse, turned hotel, nestled into a quiet Burgundy valley. The three deluxe suites are stylish and elegant with tasteful furnishings and minimalist decor. Enjoy a relaxing massage or for something a bit different, take a hot air ballon ride. A hidden gem. Romantic Break - Perfect for a romantic break- a remote, intimate setting with hot air ballon rides, wine tasting and cooking classses. Country Escape - A stunning rural retreat in a traditional building set in lovely gardens, and hidden in a lush green valley. Sights nearby - Visit the beautiful Collegiate Church of Notre Dame of Beaune, four miles away. Cooking classes - Cooking classes can be organised with a private chef. A beautiful Burgundian house with eccentricity akin to Hansel and Gretel. Wooden-beamed ceilings, tapestry chairs, carved fireplaces and velvetine fabrics. There's an excellent Table d'hôtes. Great for a weekend in Burgundy. 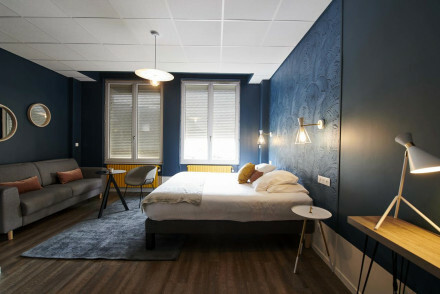 A charming small hotel in Dijon's historic city centre. Fusing antique and contemporary designs, the rooms are spacious and comfortable. Opposite the Palace of the Dukes of Burgundy, it's perfect for exploring the city's rich history. Wine lovers, be sure not to miss out on the Burgundy Wine Route. Local exploring - Perfectly placed to explored Dijon's historic city centre, with views over the historic Place de la Libération. Sights nearby - Directly opposite the Palace of the Dukes of Burgundy. 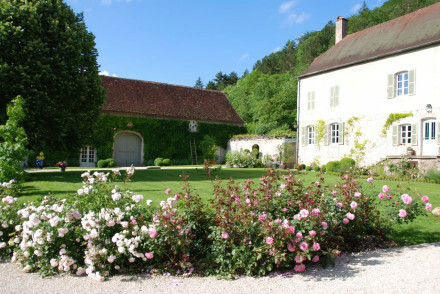 A gorgeous 19th century residence in the delightful Puligny-Montrachet. The village itself is known for its wineries but it is also an ideal base for exploring more of the famous wine country. The rooms are comfortable and spacious, the décor is elegant, the colours warm; a lovely welcoming place. 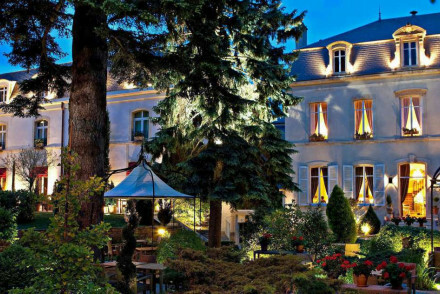 A great Four Star hotel in Beaune. Opulent rooms and suites have Louis XIV furnishings and colourful wallpapers. Excellent gourmet cuisine, stunning bar area and cavernouse dining room. Charming courtyards and cosy public spaces. Romantic, gourmet, very luxurious. Foodies - Beaune is the capital of the Burgundian wine region, so extensive vineyard and tasting trips. Cooking lessons onsite as well. 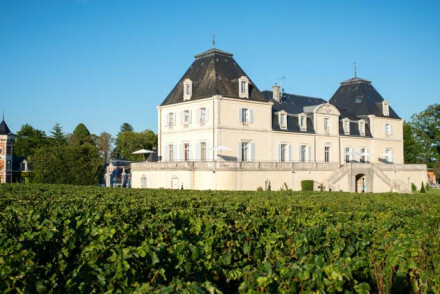 A striking château and working vineyard set in beautifully manicured gardens. Five immaculately styled rooms mix traditional and contemporary design, think: soft hues, exposed beams, minimalist furniture and seriously luxurious bathrooms. Sample the estate's wines and explore the glorious landscape. 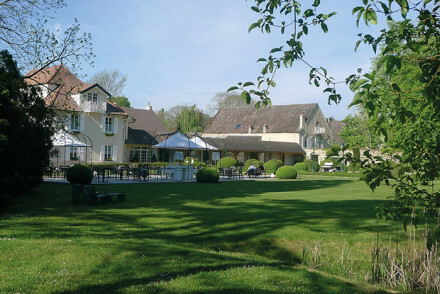 Country Escape - An elegant chateau set within picturesque Burgundy countryside. Great walks - Enjoy long walks through the beautiful surrounding countryside. A splendid little B&B in Beaune. Boutique rooms modelled on vintage wines feature lilacs and creams, antiques, oriental rugs, large bathrooms, some with garden views. Wine cellar, charming breakfast room and lovely gardens filled with magnolias. A romantic choice for wine lovers. Foodies - Capital of the Burgundy region, with numerous vineyards to visit. Wine expert hotel owners; tours and tasting in the cellars. Extremely smart townhouse B&B with an excellent spa. Contemporary comfort blended with classical furniture and style for sophisticated effect. The suites are enormous. 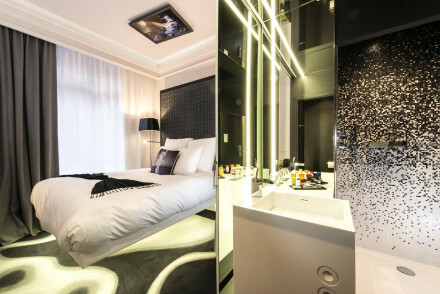 A hotel for grown ups. A beautifully renovated medieval fortress, surrounded by mountains and vineyards. The stone walls, wrought iron furniture and chandeliers give an air of classic elegance. In the restaurant guests can feast on regional specialities, accompanied with local wines and cheeses. A grown up getaway. Romantic Break - The perfect spoiling retreat for two, offering an excellent spa, fantastic food, and local wine tastings. Total relaxation - A limestone heated pool with a jacuzzi, gourmet dining, two private tennis courts and a spa. Local exploring - In an ideal location at the heart of the golden triangle of Tournus, Macon and Cluny. Sights nearby - Check out the nearby Solutré rock, a major archaeological site to the west of Macon. A stylish industrial conversion in an old printery in Beaune. The five bedrooms, large living and dining rooms have been artfully restored to give them an impossibly cosy feel, while also holding true to their factory roots. Elegant furnishings, friendly family service and homecooked breakfasts. A luxury hotel in a 12th century abbey. Elegant rooms have romantic drapes, views over the park, and enormous bathrooms. Superb French cuisine is served in an impressive dining room. Garden, terrace, library and bar to enjoy. Stunning, gourmet and peaceful. A fortified château with pristine gardens and friendly service. Fairytale turrets with spiral staircases and stone-flagged floors house pretty pastel bedrooms with vast beds and antique furnishings. Fantastic food best enjoyed on the leafy terrace. An idyllic country escape. Total relaxation - Pamper yourself with spa treatments, immpecable service, luxorious fourposter beds and wonderful food. Sights nearby - Just 12km from Cluny in Southern Burgundy and its Romanesque churches, vineyards and highly acclaimed local produce. Great walks - Take an after breakfast stroll through the lush gardens to the river. 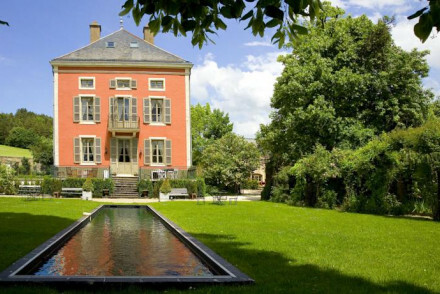 This enchanting family-run hotel on the banks of the River Yonne has it all - a Michelin starred restaurant, award-winning spa as well as an indoor pool and a hot tub. All rooms are spacious and elegantly decorated with most having balconies with panoramic views of the river. A luxurious B&B nestled beside the old city ramparts. Design throughout is quintessentially French, traditional yet unfussy. Sumptuous breakfasts are served, many of the main attractions are within walking distance and the hosts will happily give advice on the best vineyards to visit in the region. Local exploring - Boasting a tranquil spot by the old city ramparts and just a short stroll to the city centre. Great walks - Track the route of the ruins of the old ramparts starting straight from the property. Sights nearby - Visit the Hôtel-Dieu, an almshouse and hospice dating to 1443. Superb food at this iconic restaurant with attractive rooms. A family run affair with a rich gastronomic heritage. The dining room at the heart of the house serves fantastic and unpretentious cuisine. A hotspot for foodies and local explorers. Foodies - Chef Éric Pras and Frédéric Lamy have won this iconic restaurant a Michelin star for its innovative delicate cuisine. 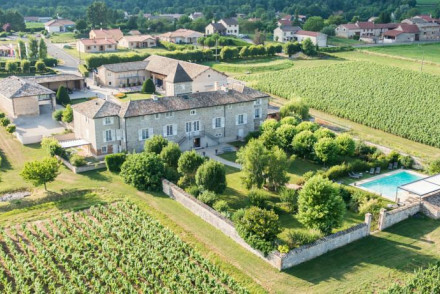 Local exploring - Surrounded by wine country and historical towns, this is an ideal base for soaking up the Burgundy countryside. Sights nearby - Explore the historic town of Chagny, with churches from the 11th, 12th and 17th centuries plus pretty streets and shops. Great walks - Work up your appetite for dinner with walks through the magical forests, canals, vinyards and hills. 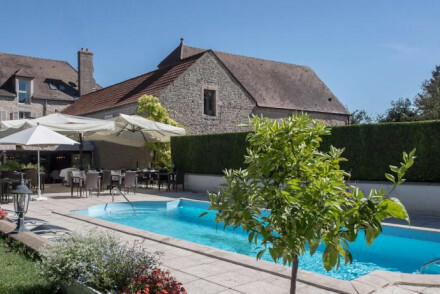 Set in a picturesque garden in the centre of Beaune, this smart hotel offers guests large airy rooms and suites and a charming garden terrace. A cellar tasting room full of character is perfect for sampling the local vintages. 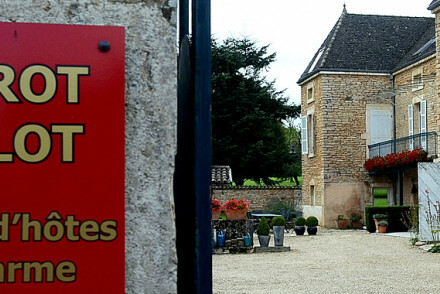 A luxury base for exploring Burgundy's finest! Great walks - Enjoy the walking discovery tour “de la Chouette"
Le Domaine des Pres Verts is a idyllic retreat in rural Burgundy. The melange of accommodation options include a chic caravan, a cosy treehouse, a homely cottage and deluxe rooms. 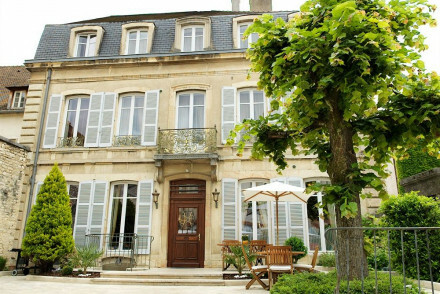 Perfect for a romantic, relaxing holiday amidst the vines of Burgundy. A picture of serenity. Total relaxation - Set in the middle of nature, with a range of spa treatments, it's perfect for a relaxing break. Local exploring - Explore the beautiful Bourgogne region and the nearby Morvan Regional Natural Park. Great walks - Make the most of the great walking in the nearby Morvan Regional Natural Park. Sights nearby - Take a day trip to the capital of Burgundy, Dijon. A charming, historic château set in a vast parkland estate. The elegant rooms are furnished with romantic decor and typically French style. Surrounded by beautiful nature, it's perfect for a relaxing country escape. Families - With family suites, a kids menus and loads of space for running around, it's perfect for a family break in Burgundy. Country Escape - A charming 18th-century château set on a 500 hectare estate in the Morvan Natural Park. Great walks - Enjoy the beautiful walking trails in the surrounding Morvan Natural Park. Birdwatching - Excellent bird watching opportunities in the Morvan Natural Park. 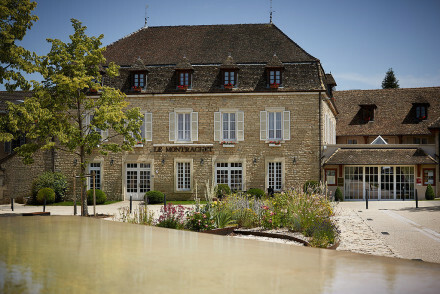 Set in a 12th century building amongst the popular vineyards of Meursault, this luxury hotel offers a calming atmosphere to its visitors. A unique spa experience, an all day buffet breakfast, a fine dining restaurant and a wine cellar that houses some of the best age-old wines from the region. Country Escape - Situated in Chateau de Citeaux, this hotel makes a perfect weekend or romantic getaway from the bustling sounds of the city. Spa breaks - The hotel boasts the worlds first ever Fruititherapy Spa with grapes and other red berries. Local markets - The 19th century covered market cannot be missed, head down and pick up the best local produce. 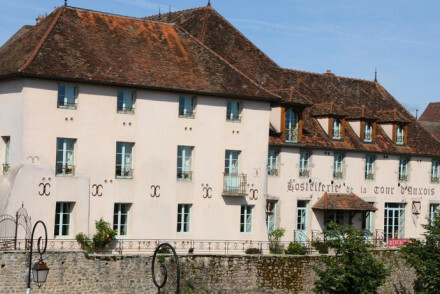 Sights nearby - Visit the world renowned 15th century hospital in Beaune. 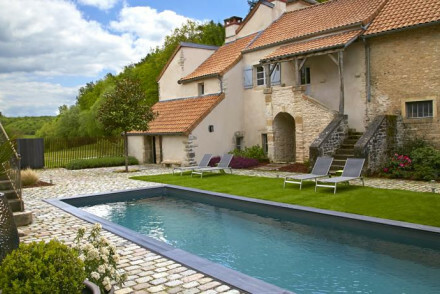 An enchanting property surrounded by vineyards, outside of Dijon. The interiors are typical of the region with exposed beams and brickwork, wooden floors, chic French furnishings and plush bathrooms. An excellent organic breakfast is served each morning and a dinner menu has recently been added. An intimate boutique hotel. Place themed rooms in minimal luxury have stone flag floors, high ceilings, wooden beams, rich muted fabrics, and enormous beds. A charming courtyard area to enjoy breakfast in and a fantastically stocked wine cellar. A sophisticated spot for the luxury traveller. A delightful hotel set in a traditional 19th century house. Large rooms are contemporary with rich details; mahogany furniture, drapes and exposed beams, all with opulent bathrooms. 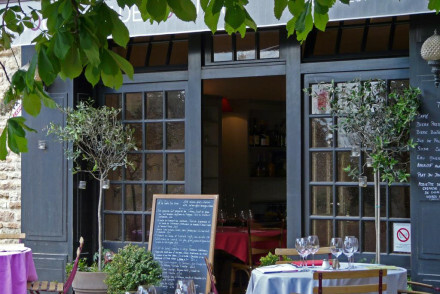 Great classical French cuisine, lighter snacks from the cafe bistro, and a charming courtyard. Very romantic. A stunning chateau in Burgundy filled with contemporary works of art. Beautiful classic rooms and suites with elegant furnishings and all the mod cons. Sophisticated living areas, excellent 'table d'hotes' restaurant, spa and pool. An idyllic spot to explore the region from, and in high style. Foodies - Le Jardin Gourmand is a fine dining restaurant. Views - Stunning views of Montigny la Resle. 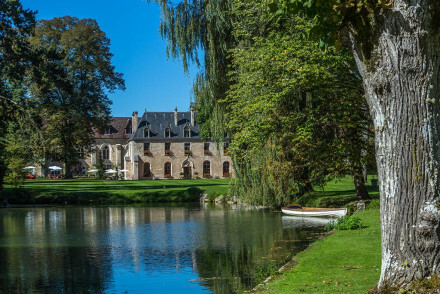 Château du Petit Musigny is a magnificent country hotel, set on a stunning wine estate. The opulent rooms house magnificent beds, and are decorated with period furnishing. Take a tour of the vineyards on horse back or by bicycle and in the evening feast on regional produce in the charming wine bar. Romantic Break - An idyllic spot for a romantic break, for added romance take one of the luxurious junior suites. Local exploring - Wine buffs must explore the famous wine route in Chambolle-Musigny. Popular with yester-years stars, now popular with its award winning restaurant. Large, classic rooms have access to a brilliant pool, spa and fitness centre. The beamed, chapel-like dining room and delightful garden with outdoor dining patio are in an idyllic setting. Foodies - Orginally famed for its award winning cuisine by late chef Bernard Loiseau, the gastronomic tradition lives on in full force. Total relaxation - Utterly spoiling treatment, with the regions most exaulted cuisine, extensive wine cellars, spa treatments and lush gardens. Great walks - Start with a pleasant stroll around the garden, and then further afield into the Burgundy countryside. Birdwatching - Catch up on the local wildlife from the comfort of the English Garden. 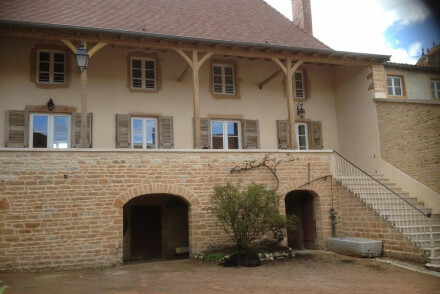 A romantic chateau surrounded by acres of vineyards in the heart of Beaujolais territory. It has everything - a spa, a gourmet restaurant, fabulous rooms and suites, a swimming pool, and luscious greenery as far as the eye can see. A perfect spot for a wedding. 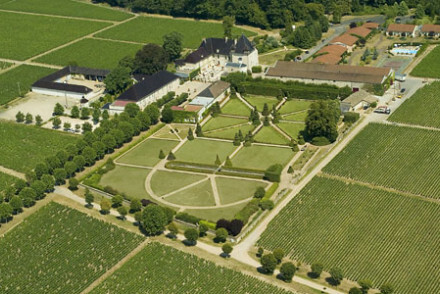 Garden - Formal gardens set amid 80 hectares of vineyards. Medieval Château oozing romance and elegance making a hideaway luxury hotel. Celestial views over the vines and towards the lake from beautiful bedrooms. Enjoy the dishes at the restaurant, explore the spa treatments and walk under the 100 year old lime trees on the terrace. A romantic's paradise. Spa breaks - Indulge yourself with a steam in the Hammam followed by hot stone massages, mud wraps and eye masks- what more could you want? Romantic Break - The French formal gardens, stunning views, couples spa treatments and fairytale interiors ooze romance and glamour. Foodies - The Michelin-starred 1217 serves up inventive and exciting dishes with a local influence. Great walks - Wander the hills, vales, vineyards and olive groves of this spectacular stretch of countryside. Quaint, ivy-clad guest house featuring large rooms with exposed beams and stone walls, giving it a cosy feel, whilst the communal areas have a modern twist. Be sure to take a walk around the lovely garden, complete with inviting pool, or grab a bike and explore further afield! Learning - Visit the caves and castles at Vézelay. 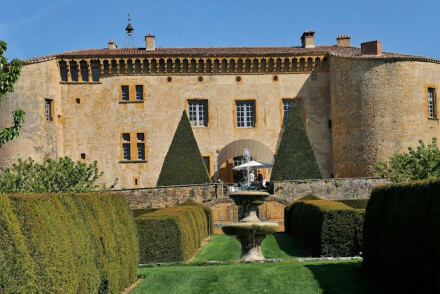 An impressive 13th Century moated Château set on charming grounds. Lofty bedrooms ooze old world style, think antique drapes, bold wallpapers, four poster beds and knockout views. Mouthwatering dinners are served, house party style, in a large kitchen, at separate tables, or on the lawn. Spoiling! Honeymoons - A fairytale setting, bursting with romance and style, plus personalised 5* treats and award winning dining. 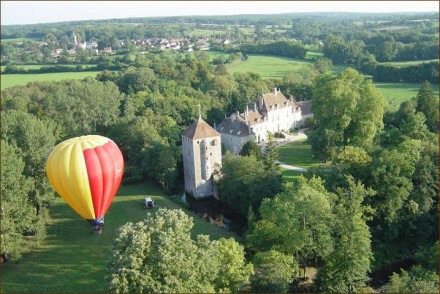 Country Escape - The Chateau sits on 100 acres of picturesque grounds right in the heart of the Burgundian countryside. Foodies - This Burgundian cooking comes with a modern flare- locally sourced and totally inspired! Great walks - The Chateau is beautifully situated in the Morvan National Park boasting extensive walking with unbeatable views. 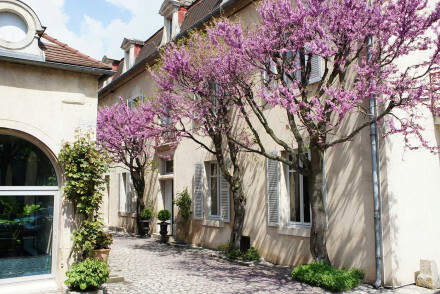 A gorgeous historic building complete with a beautifully-kept courtyard in the heart of Beaune. This private apartment sleeps up to six people and is fully equipped. Rooms are elegantly decorated with wooden floors and furniture to match the traditional French townhouse feel.